The importance of education is a common refrain in the lives of the leaders represented here. Many reference one particular teacher or mentor who made a difference. The late Reverend Father Virgilio Elizondo, a professor at the University of Notre Dame, said his fifth-grade teacher changed his life. She taught him to love school and learning. Others remember the sacrifices made by parents so that their children could have more opportunities for a better life. In all, these writings are both a testament to perseverance and a guide to life, for readers of all backgrounds. 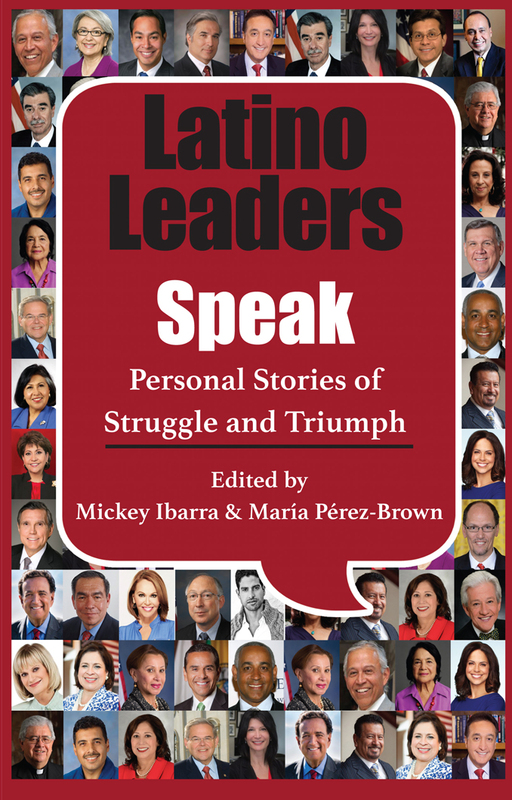 Originally presented at the Latino Leaders Luncheon Series in Washington, DC, and other major cities, the personal stories included in this book are all by successful Latinos involved in a variety of occupations, from politics and sports to education and activism. Contributors include former Los Angeles Mayor Antonio Villaraigosa; former general manager of the New York Mets, Omar Minaya; and Dr. Francisco G. Cigarroa, the Chancellor of the University of Texas System. Their words will inspire readers of all ages to follow their dreams and help those less fortunate. MICKEY IBARRA is president of the Ibarra Strategy Group, a government relations and public affairs firm in Washington, DC. He is the founder and chairman of the Latino Leaders Network, a nonprofit organization dedicated to bringing leaders together. MARÍA PÉREZ-BROWN is author of Mama: Latina Daughters Celebrate Their Mothers (HarperCollins, 2002), which was published simultaneously in English and Spanish. A graduate of Yale University and New York University Law School, she lives in New York City.